But how do you use this tool effectively? 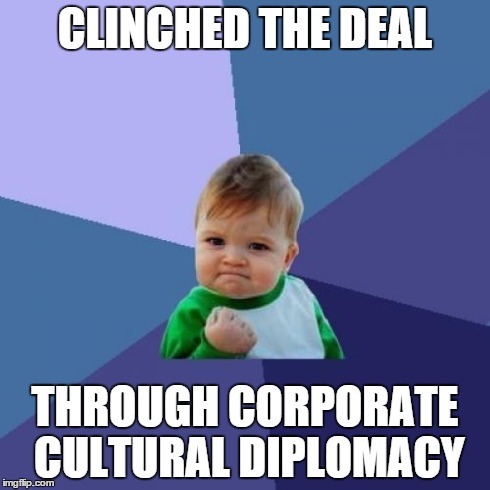 Corporate cultural diplomacy (CCD) is put into action by implementing CCD activities. Your activities must be culturally based and can incorporate a stand-alone activity or a series of related activities (known as a ‘program’). The activities need to build relationships and trust in order for influence to be developed. Here are the four basic steps required to use CCD. A considerable degree of expertise and experience is needed in order to put into place the four steps listed above. Activities can be managed in-house or outsourced in full or in part. In forthcoming blogs I will detail what is required for you to manage CCD activities in-house and what skills the staff responsible for the activity will need to have. I will also provide practical tips on delivering effective activities. Otherwise, if you want to outsource all or part of your CCD activity or program, or simply want to chat be sure to get in touch with us! ← What is Corporate Cultural Diplomacy?